Protecting your skin requires using various nutrients to keep them safe. These nutrients include vitamin A, vitamin C, vitamin E, fatty acids, antioxidants, zinc and several others. 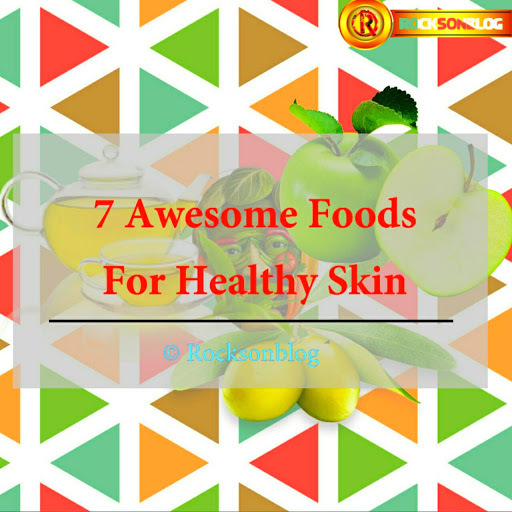 To help, here are some of the best foods for healthy skin you can eat. membranes, protect it from damage caused by sun exposure and lower your risk of skin cancer. It also allows passage of fluid between cells and reduces inflammation of skin cells. also help prevent skin cancer and acts as an antioxidant. Pumpkin seeds have a high zinc content, making them a very good food for your skin. Zinc boosts skin cell regeneration and helps to maintain your vitamin C and collagen levels, thus strengthening cell membranes. and helps prevent premature aging and wrinkles and also promotes faster healing of wounds and blemishes. astringents and helps reduce the signs of wrinkles on your skin.